AMERICAN INDIAN ADOPTEES: How do you make amends for trying to erase a culture? How do you make amends for trying to erase a culture? A survivor of the 60s Scoop on what's been lost and how to move forward. On a hot July afternoon, a social worker handed me over to a young Saskatchewan farming couple. I was three months old, and my adoptive mother tells me I wouldn’t stop crying. She eventually realized I was too hot because my foster mother had dressed me in all the clothes that I possessed. I was born Carrie Alaine Pinay in 1973 to a young Saulteaux/Metis/Cree mother who found herself alone and with limited support from family or from social services. She made a difficult decision, and decided to surrender me to a social worker she trusted. Her grandparents and parents and my Cree/Nakota father had been forced to attend residential school. After I met my birth parents as a teenager, I began to learn that my family network has been affected by a genocidal system engineered to dismantle nations by taking children away and inflicting pain, shame, and self-hatred. I was adopted out through the Saskatchewan Adopt Indian Metis (AIM) pilot project, designed to place Indigenous children six and under into non-Indigenous homes. The AIM project ran from 1967 to 1974, putting over 1,000 children in adoptive homes, some outside of the province and even outside of Canada. It was thought by some of the program’s administrators that if children were taken from their families at a young enough age, they would not have any “Indian or Metis” imprinting, and only their pigmentation would be different from their adoptive families. In my case, the social worker encouraged my young adoptive parents to raise me with the knowledge of being “an Indian.” They did their best to do that, they raised me with love, and they supported me to search for my birth parents, whom I found when I turned 16. I know in many ways, my experience was the exception. Thousands of children were “scooped” across Canada in the 1960s, 70s and even in the 80s, inflicting further damage to Indigenous family structures already reeling from the impact of the residential schools. Many times, parents were forced into surrendering their newborns, told that their children would suffer if allowed to stay. Other children were taken out of homes that were deemed insufficient by middle-class standards, but were often intact and loving. Siblings were more often than not sent to different homes, sometimes scattered across North America. The so-called Scoop resulted in a generation of children, some 20,000, being raised outside of their families and communities, and without connection to their lands, ceremonies, and language. Many foster and adoptive parents were abusive and inflicted painful external and internal scars. As with the Indian Residential School system, the Scoop was part of a government effort to erase Indigenous peoples. In early June, the Truth and Reconciliation Commission issued its report, telling the painful stories of survivors and their families, and we are beginning to see the first glimmers of grappling with these dark parts of Canada’s history. Alberta has pledged to join the North West Territories and Nunavut in including Residential School history as part of their school curriculum. While this is a promising step - and ought to be followed promptly by all provinces across the country - educational reforms must also include learning materials that expose the colonial roots that underlay the residential school system and the Scoop and continue to guide current policies involving Indigenous peoples. Some universities, too, have begun to do their part. The University of Saskatchewan announced last week that it is joining several other western schools in supporting the education of youth who have emerged from the child welfare system. The U of S has stepped it up a notch, offering tuition for up to five years as well as comprehensive living expenses and other supports. Other universities need to offer similar options for Indigenous students, many of whom, despite perceptions, are not eligible for band funding. There is clearly also a fledgling process of reflection now underway among some of Canada’s governments. Alberta’s new premier Rachel Notley apologized for the Alberta government’s inaction on residential schools. In Manitoba, Premier Greg Selinger apologized to those children and families affected by the 60s Scoop. Saskatchewan Premier Brad Wall formally announced his intention to apologize in the near future. But while apologies can be a good first step (if they are sincere), words can only do so much; they also must come with efforts to address the wrongs done with reparations. Federal, provincial and territorial leaders looking for somewhere to start ought to read, in full, the TRC’s calls to action, some of which are updates of unimplemented recommendations made by the Royal Commission on Aboriginal Peoples back in 1996. To achieve justice, all of Canada needs to understand that the bluntly oppressive systems implemented from the beginning of Canada’s existence as a state continue to be a lived legacy for both Indigenous peoples and Canadians. And justice requires the will to change that legacy. 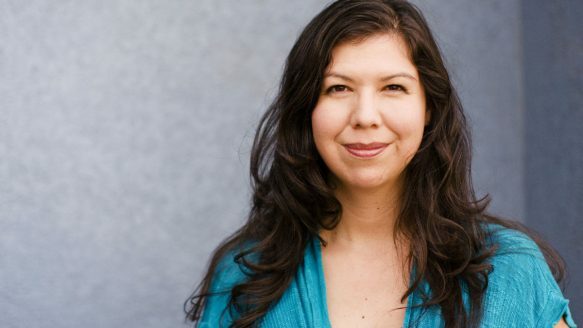 Tasha Hubbard is a filmmaker and assistant professor of Indigenous literature and media at the University of Saskatchewan. She is a member of the Peepeekisis First Nation. An earlier version was published on the Broadbent Institute website. I write this to you, to let you know what the Great Spirit has done through me his servant. I dedicated my life to service in April 2016 after my heart bloomed, returning me to my authentic nature. I was inspired and started an acknowledgment and amends to the indigenous people of north america. Which I started then. It then was in my computer i guess waiting for me to learn what i needed to. It has been reopened and finished and I now understand what it was waiting for. I had to learn how to listen to the heart to sense a faint whisper so I could feel the rightness of the words being expressed through me. I cry when I experience the love that is expressed through this work. You have waited a long time for this and I feel so honored to be the one to give this gift you my sacred brothers and sisters. It has expanded into one for indigenous people of north america, the mammals nation, the birds nation, the fish nation, the reptiles nation, the insect nations, the rivers and stream nations, the ocean nation and I am working on on for the planet. They are all sacred acts to heal our hearts. They are each a video you watch that has music that will open your heart and sing to it, the pictures add to the words to carry the energy into your heart. I will post these on YouTube. Here are three if them so you have a sense if you want to support me to contact as many American Indian sources to let them know when they are uploaded and available. We're sorry for not being able to see you as the sacred beings you are and your humanity. We're sorry to have not seen your compassion for all of life and learned from you as the true brothers and sisters you are. We're sorry for not seeing the beautiful and sacred way you held all of life. P.S. You are the first that I have reached out to.